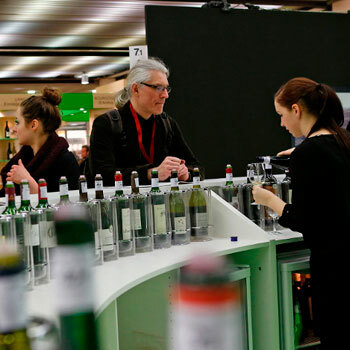 The number of international visitors to ProWein 2013 increased on last year’s number with more than 44,000 trade visitors attending the three-day event. The organisers said they recorded strong increases in numbers from the UK, Scandinavia and the BeNeLux as well as from France, Spain and Italy. New visitors also came from the New World such as North America and Asia. Hans Werner Reinhard, deputy managing director at Messe Düsseldorf, said: “The number of trade visitors from throughout the world rose significantly at ProWein 2013. Posting a 6% rise the proportion of international visitors now stands at 40%. This year’s fair included two additional exhibition halls, which meant there were a total of 4,783 exhibitors from 48 countries in Düsseldorf. As well as the exhibition ProWein 2013 also held over 300 events including food and wine matchings, lectures and a wide variety of tastings. The spirits segment at ProWein saw almost 400 exhibitors present specialities from throughout the world, including Mexico, Norway and China. Distillery Hubertus Vallendar presented its new product line of South African spirits while Schlumberger unveiled a Japanese whisky called Nikka. The organisers said that a survey of visitors found that 96% of those polled said they had “achieved their goals and were satisfied or very satisfied with their visit”. ProWein China will run in Shanghai for the first time from 13 to 15 November and next year’s Düsseldorf ProWein will be celebrating its 20th anniversary and takes place from 23 to 25 March 2014.